1. 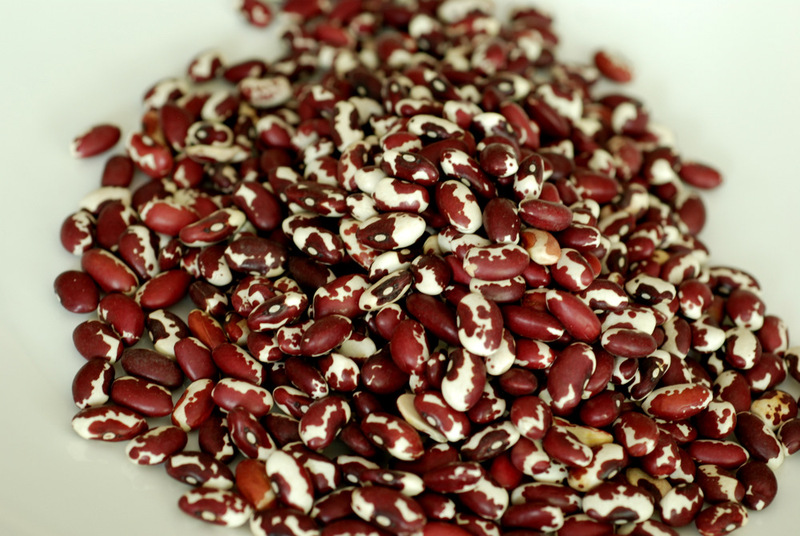 Place beans with enough water or vegetable broth to cover by 1-2″ of water. Add bay leaf and bring to a boil. Reduce heat; simmer gently. Cook, stirring occasionally, until beans are tender, about 40 minutes. Drain, reserving some of the broth, and transfer to a bowl. 2. Heat a large, heavy non-stick skillet over medium-high heat, and add corn. Cook, stirring occasionally, until corn begins to brown, 4 to 5 minutes. Add garlic, and cook, stirring frequently, until corn is browned and begins to pop, another 3 to 4 minutes. Add to beans. 3. Wipe skillet, return to medium-high heat, and add 1 teaspoon oil. Add tomatoes, in a single layer, and thyme. Cook, turning occasionally, until soft and beginning to char, 6 to 7 minutes. 4. By this time, the tomatoes had stuck to my pan, so I deglazed with a bit of broth. Add the beans and corn to the tomatoes and simmer until broth has nearly evaporated. Remove from heat. 5. Meanwhile, whisk oil, vinegar, red-pepper flakes, and salt in a small bowl. Pour over beans, stirring gently. Spoon over lettuce, and serve. wow- your bean collection is amazing! your salad looks delicious and filling, too. i’ve never heard of anasazi beans! Umm wow. Your bean collection is gorgeous! 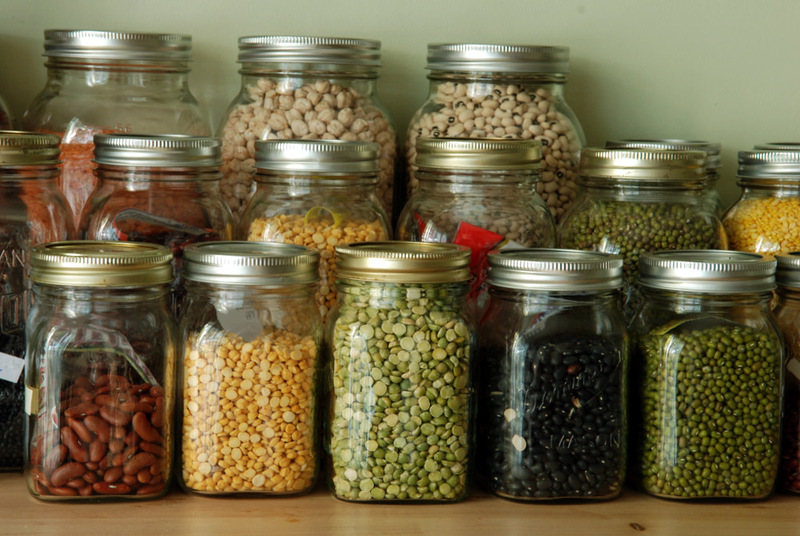 And if you ever need me to send you beans from Kalustyan’s – have no fear! I’m more than happy to do so. This salad looks delicious. I’ve been trying to incorporate corn into all my meals since it’s so good now and I can’t wait to try this! I thought my bean collection was extensive but you put me to shame! 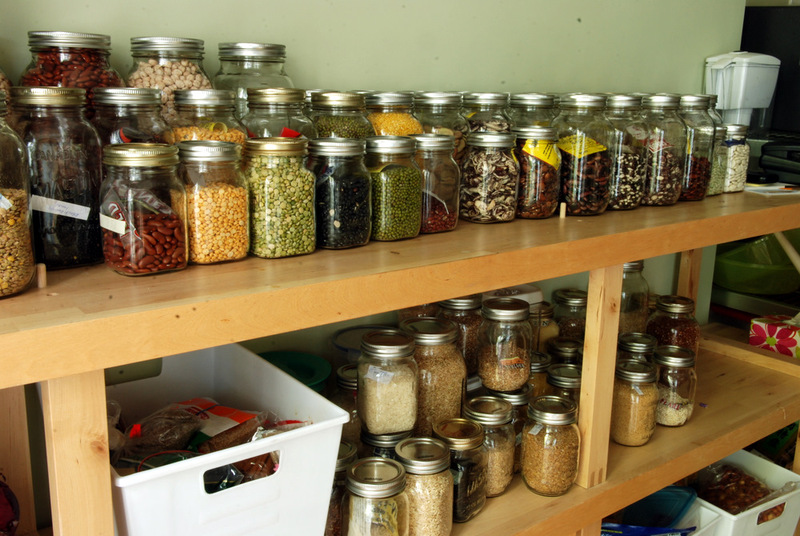 What a great pantry you have! Looks like a wonderful recipe. I have never seen such an extensive or beautiful selection of beans. I wonder if there’s somewhere in LA that carries such a wide variety? Otherwise, they also ship within the US. Oh, you’re right, they do! And that market is so close to me, yet I’ve never heard of it. Awesome! Thanks. Your bean collection is outstanding. I covet it! 😉 This salad looks wonderful–I love all of the ingredients. 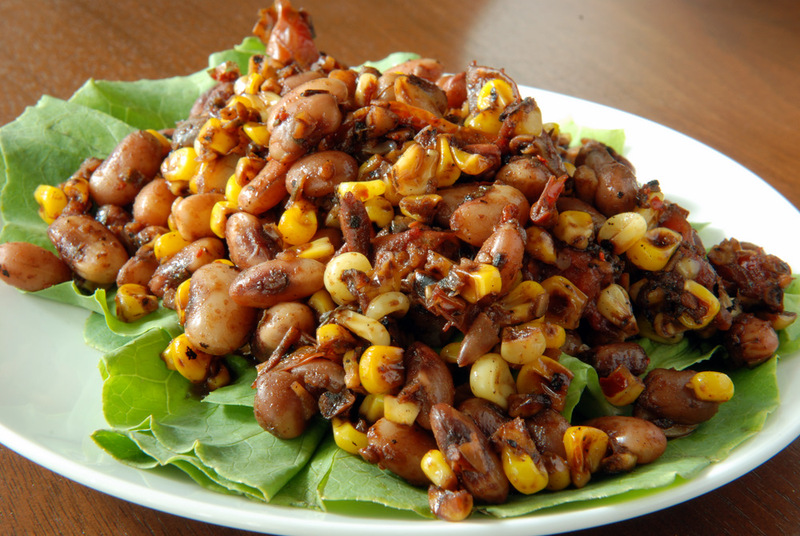 I am sure it is wonderful with the sweet toasty corn. Thanks for sharing it with Souper Sundays. I’m so impressed with your bean collection! Not only is it organized, but beautiful and eye-catching! 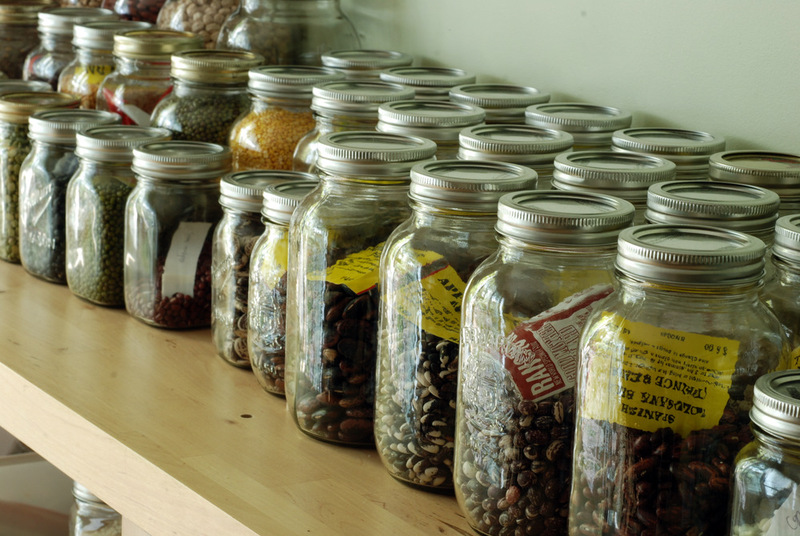 Oh Janet as you know I am completely in love with your well organized mason jars!!! I must do this in my kitchen. My main pantry shelf is really deep though, I like how yours is shallow for easy access. the idea that Martha Stewart would have a bean that you don’t appalls me. Seriously. That salad looks fantastic! Can’t wait until it’s time for corn again! I’d never even heard of these beans until I saw this post. That salad is making my mouth water!